Xiaomi Redmi Note 7 Pro Unveiled in India - Playfuldroid! 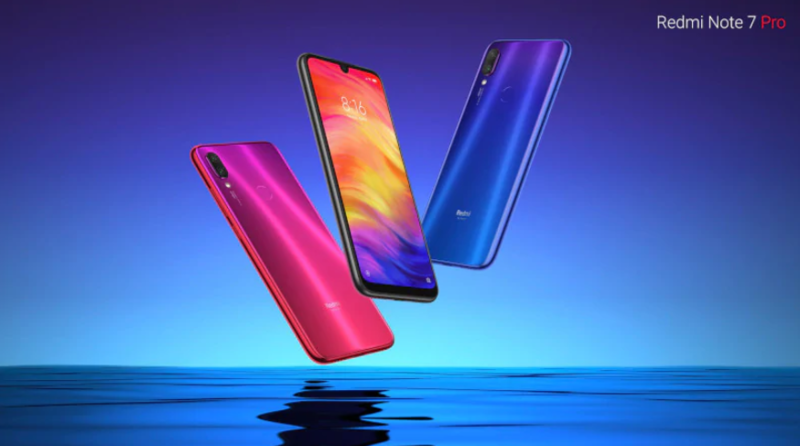 Through a launch event in India, Xiaomi has announced the Redmi Note 7 Pro smartphone in India. The smartphone features a better chipset, a bigger internal storage and a more camera compared to the Redmi Note 7 that was announced in January last year. The Redmi Note 7 Pro comes with a 6.3-inch IPS LCD display that produces full HD+ resolution. The waterdrop notch on the screen allow the phone to deliver an aspect ratio of 19.5:9. The Snapdragon 675 chipset powers the Redmi Note 7 Pro. The handset comes in 4 GB RAM and 6 GB RAM editions. These models respectively feature 64 GB and 128 GB of storage. The MIUI 10 Android 9 Pie OS comes preinstalled on the device. It is equipped with a microSD card slot for additional storage. When it comes to photography, the handset offers its users with a dual camera setup that includes Sony IMX586 48-megapixel and 5-megapixel depth sensor. It possesses a selfie camera of 13-megapixel. The front camera supports face unlock. The handset also features a rear-mounted fingerprint scanner. The 4000mAh battery of the Redmi Note 7 Pro supports 18W rapid charging. Redmi Note 7 Pro will be releasing in India through popular online retailers from 12 PM on March 6. The 64 GB and 128 GB Redmi Note 7 Pro models are respectively priced at Rs. 13,999 and Rs. 16,999.